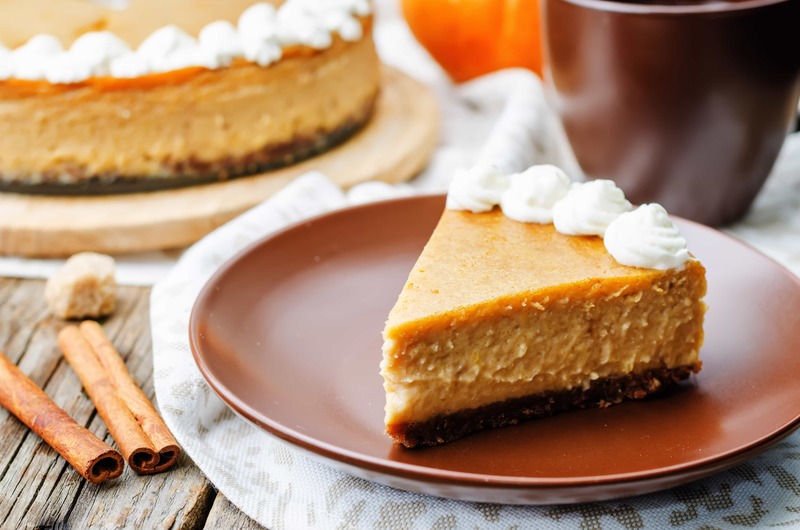 I’m not going to lie, one of my favorite things about the ketogenic diet is that you can eat cheesecake, and keto pumpkin cheesecake is by far my favorite! Seriously, you can eat a lot of REALLY good stuff on keto- that’s why I keep coming back to it! So many things that would normally feel like a cheat are totally okay on keto. 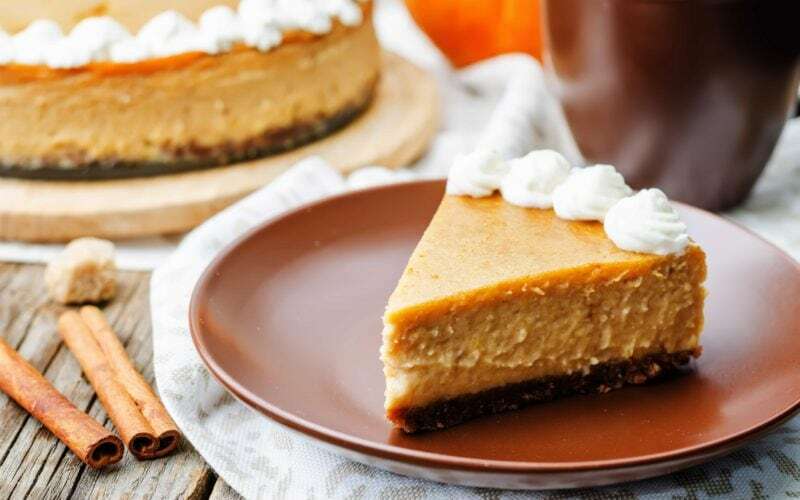 The keto pumpkin cheese cake recipe being one of them. 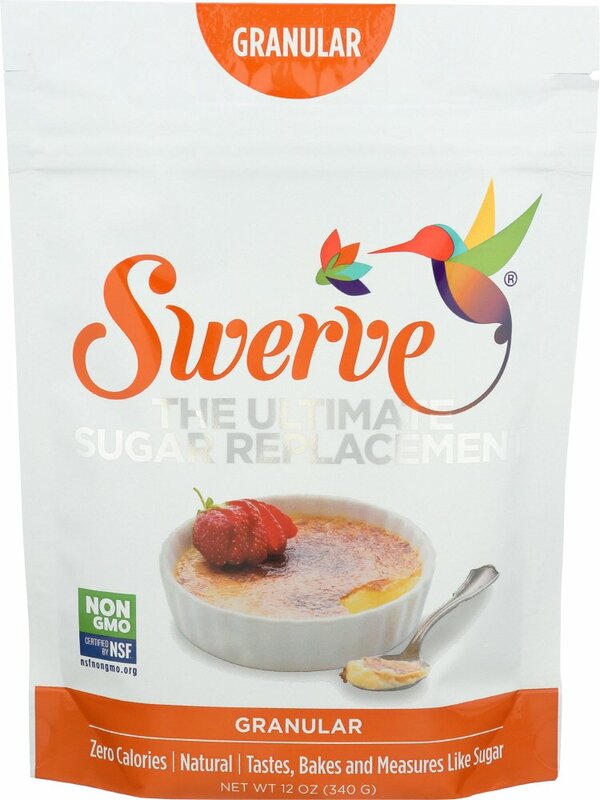 The key to keeping it keto approved while still being delicious is using Swerve sugar alternatives. 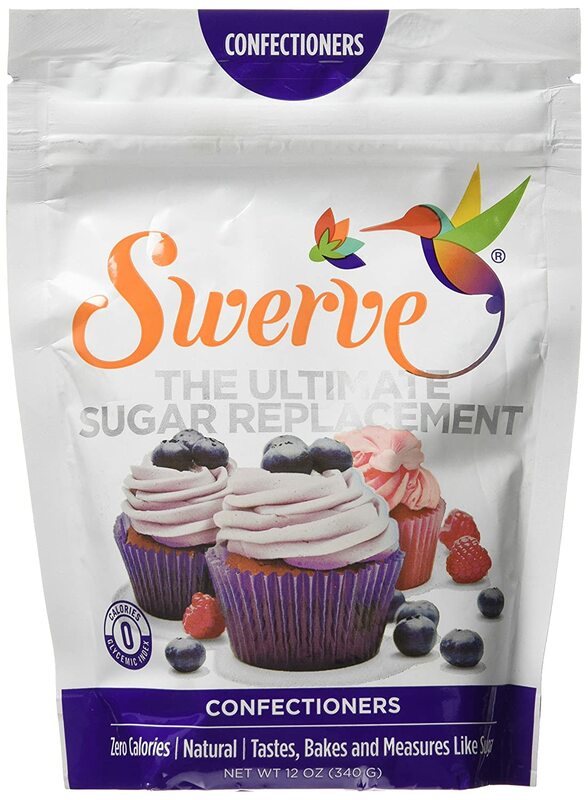 I’m obsessed with Swerve because it allows you to make soooo many of your favorite sweets while keeping you in ketosis. Seriously, if you’re low carbing it and love sweets- you need these. Grease the sides and bottom of an 8 inch springform pan with butter. Cover bottom with foil half way up the pan making sure no water (adding to the pan when baking) or any part is open or exposed. Set aside. 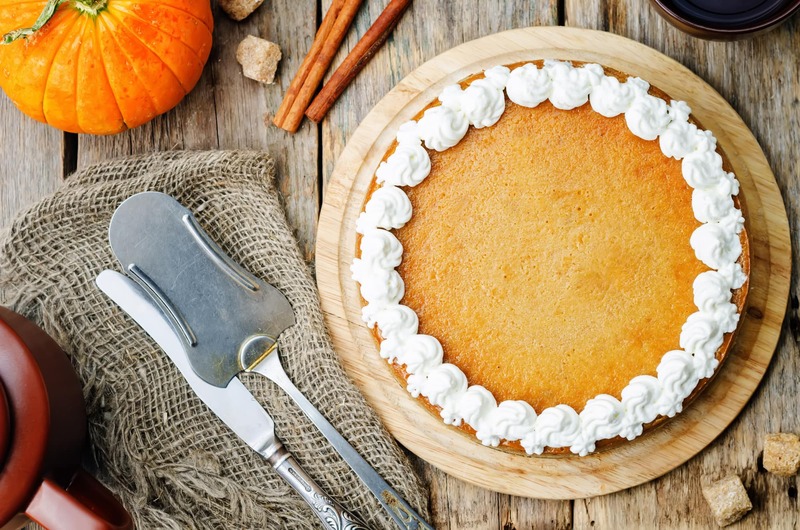 In a bowl whisk together flours, pumpkin pie spice, salt and set aside. Place pan in the middle of a baking pan with a 1 inch lip. Add warm water to the pan util the water reaches about ½ inch up the springform pan. Bake for about 1 hour and 15 minutes or until the center is firm (not jiggly). Remove from the oven and cool for 30 minutes. Refrigerate.